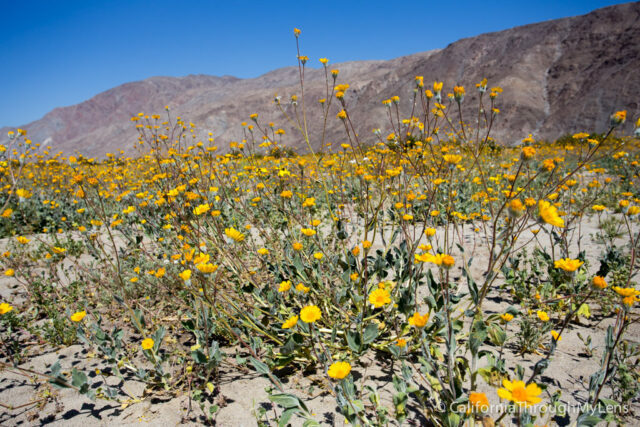 After having such a fun time last year visiting the Antelope Valley Poppy Reserve, I set out to see if I could find wildflowers in Anza-Borrego. 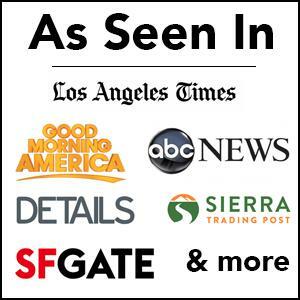 Many reports online had said they were blooming and so I asked on the California Through My Lens Facebook Page and reader Sunni told me to visit Henderson Valley. 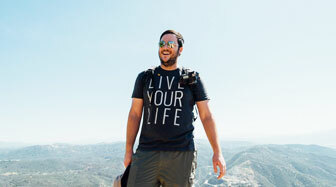 I jumped in the car and made the 2 hour drive down into the Anza-Borrego valley and here is what I found. 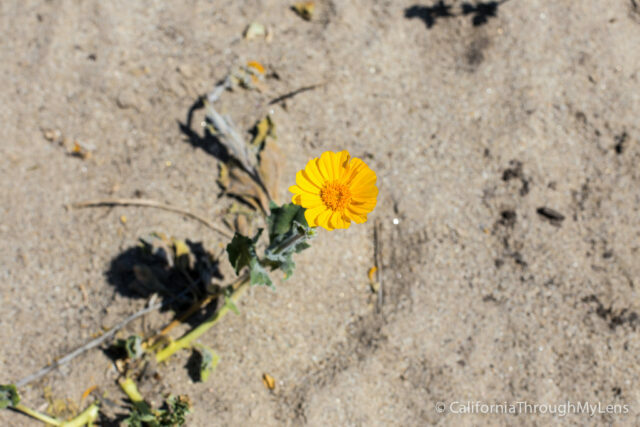 When you arrive in the valley I would recommend checking in with the Anza-Borrego Natual History Association as they have a map they can give you that will show you where the wildflowers normally spring up. I was told to visit the airport and then head over to Henderson Canyon Rd. They also told me that a patch of purple flowers were blooming near Pegleg so I headed over there as well. I would anticipate that these blooms will be done in the next few days (March 22nd, 2015) but this should help to provide information for future years. The wildflowers by the airport were all but done for the year. 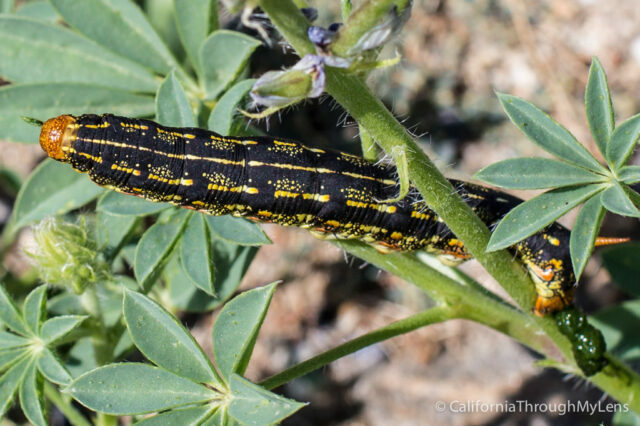 That being said there were still a lot of caterpillars to be seen chewing on the stalks. 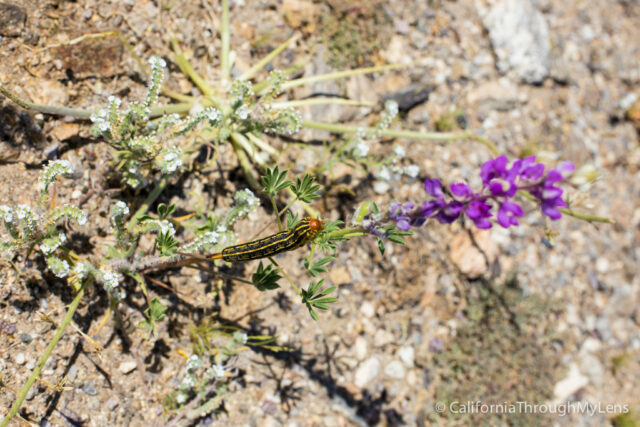 The caterpillars were everywhere and it was crazy to see them skimming across the dirt on the way to their next meal. There were spotty areas of flowers but overall it was pretty lacking here. 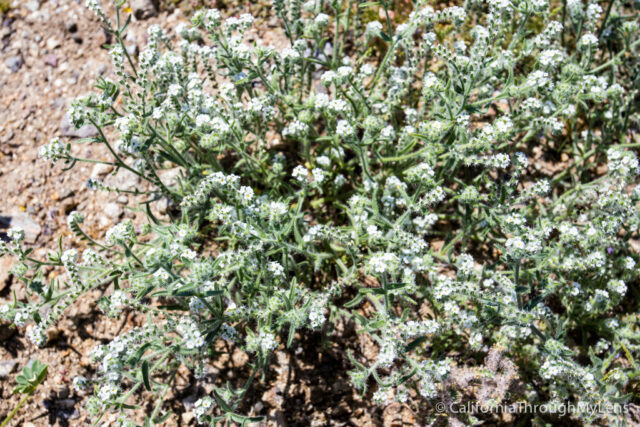 I did walk over near the dunes and saw a few of these white flowers along the sand which were beautiful though. 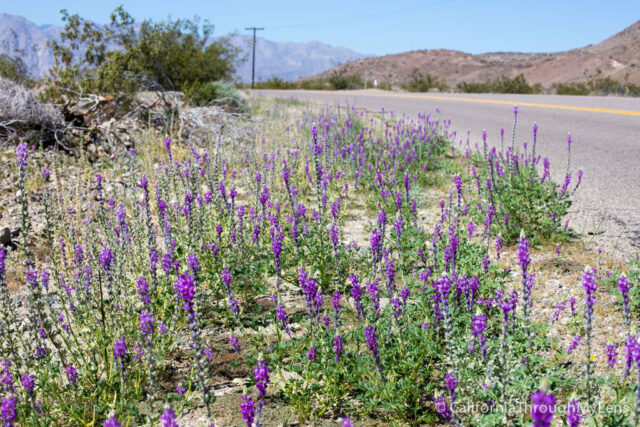 When you turn off the main road (S-22) through Anza-Borrego and onto Pegleg / Henderson Canyon Road there was a huge section of purple wildflowers (lupins) on the left hand side of the road. These flowers were vivid and beautiful, I was actually surprised as to how many were there. 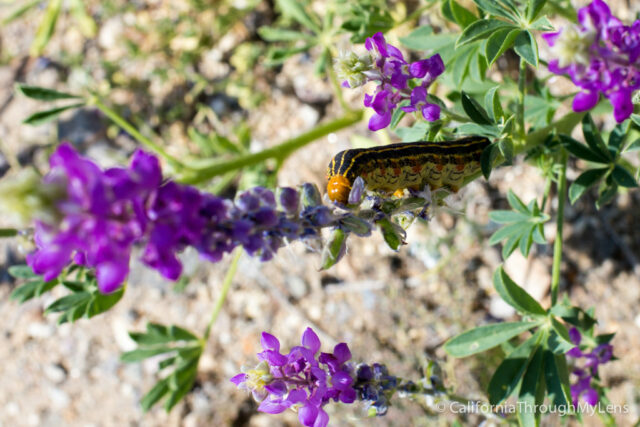 They were also crawling with caterpillars as well, so I would assume that would mean that they will be gone pretty soon. I was the only one here looking at these flowers and it was nice to be able to just take in the colors and the life that surrounded them. There are a few patches along this part of the road and this is the only area where I really saw these purple flowers. This is a must visit area for wildflowers in the park. About a mile down the road from where we stopped for the purple flowers we were greeted with a blanket of yellow and orange wildflowers as far as the eye could see. This was by far the best area to see wildflowers in the park and there were quite a few cars stopped here taking pictures. 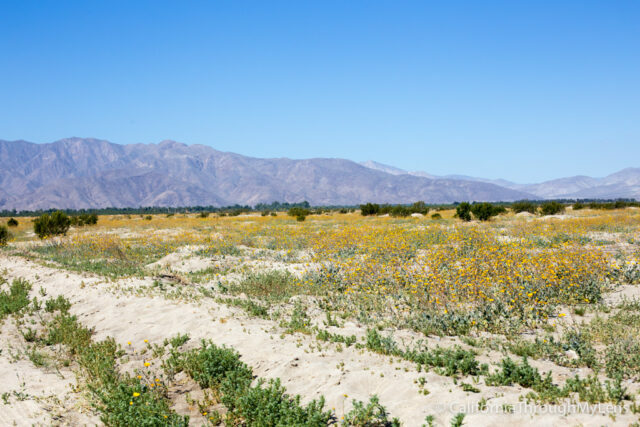 It is easy to pull off on the main road here and you can walk all along the sand to see the many different types of wildflowers with the mountains adding a beautiful backdrop. I did not see many caterpillars here so I am not sure if that means this area will last longer then the others or if these plants are not as desirable to the caterpillars. After finishing driving Henderson Canyon Road I headed to Indian Head to see some of the Galleta Meadow sculptures. 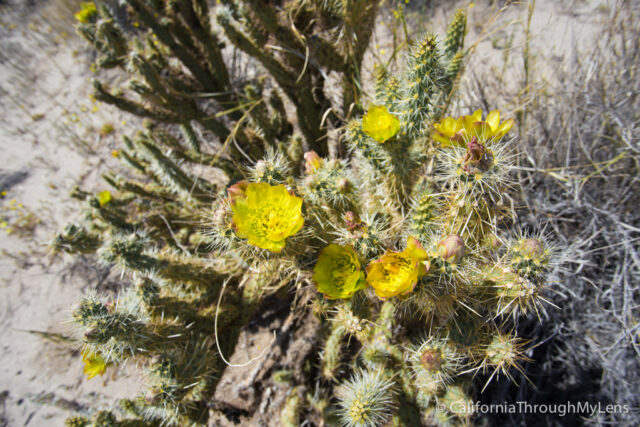 While I was here I got to see a few beautiful cactus flowers, while different from wildflowers they were a beautiful desert bloom. There were a few different types of cactus and I saw blooms on most of them. 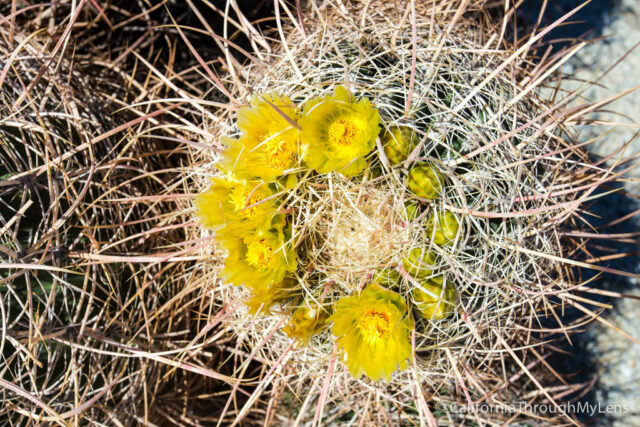 My personal favorite were the barrel cactus I saw below. All in all this was a really fun little trip and while I probably missed some of the best blooms by a week, I still really enjoyed seeing the color in this desolate desert. Anza-Borrego is filled with some many unique wonders that you really should make it a place you spend time in while in California. I would love to hear about where you have found wildflowers in the comments below and if you need more resources, make sure to check out ModernHikers excellent guide.